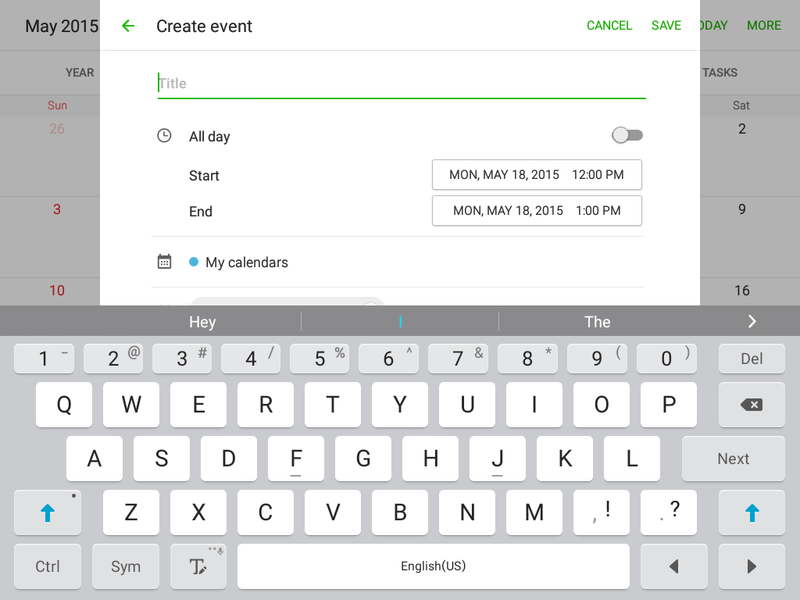 How Do I create and delete a calendar event on my Samsung Galaxy Tab?A? 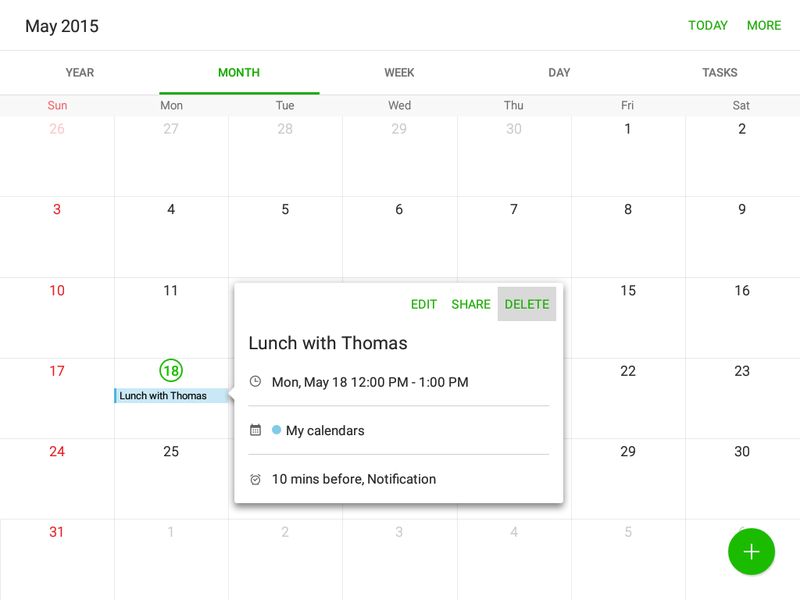 The Calendar application makes it easy to manage all of your scheduling on the device. You can add an event directly to your online account for easy synchronization. To access the calendar, from the Home screen, touch Apps > Calendar . 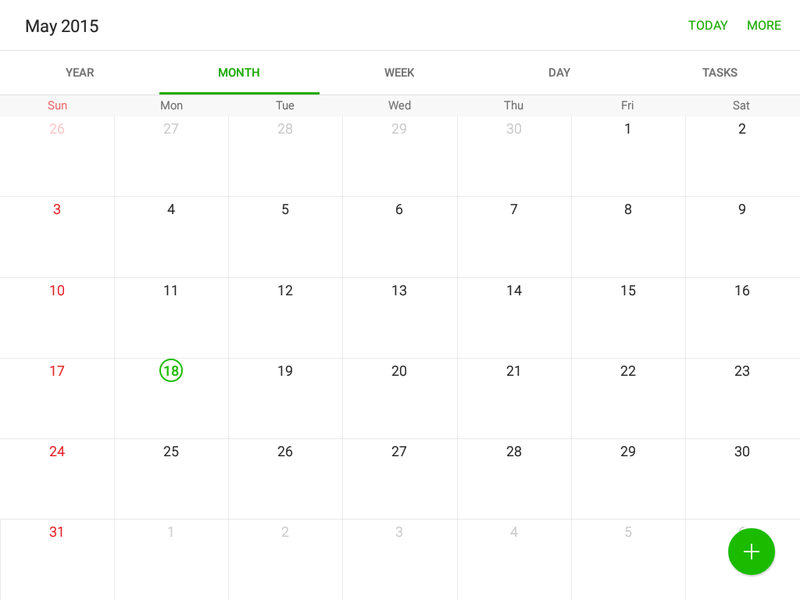 Touch to view your calendar by Year, Month, Month and agenda, Week, Day, or Agenda. The default is Month view. 1. From a Home screen, tap Apps > Calendar . 2. Tap Add and enter details for the event. 3. When finished, tap SAVE. 2. Tap to view an event and tap DELETE. 2. Tap an event to view it. 3. Tap SHARE and tap a sharing format. 4. 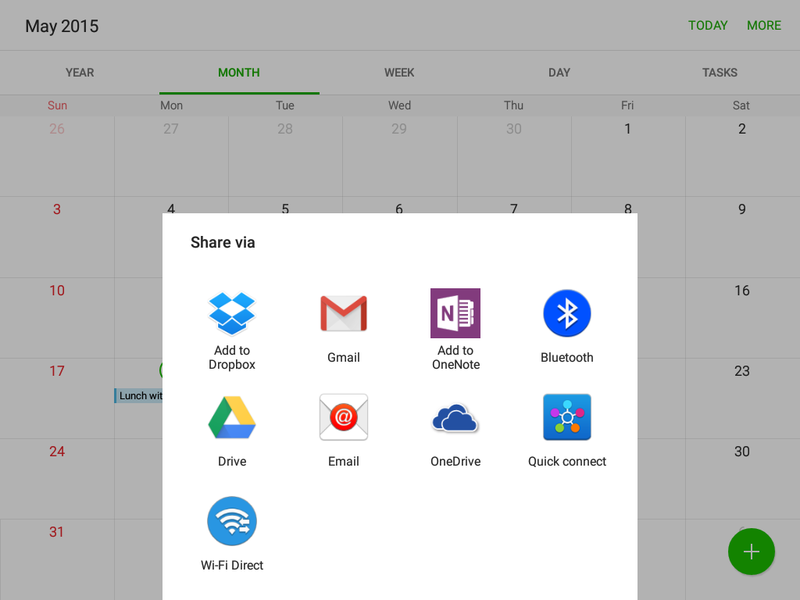 In the Share via window, tap a sharing method and follow the prompts. Tasks are items you add to the calendar to be accomplished on a certain day. A task appears as a checklist item and is removed once you mark the task as complete. 2. Tap the drop down menu in the top left corner (by default, the Month and Year are shown) and tap TASKS. 3. Tap the Enter new task field to enter a new task. 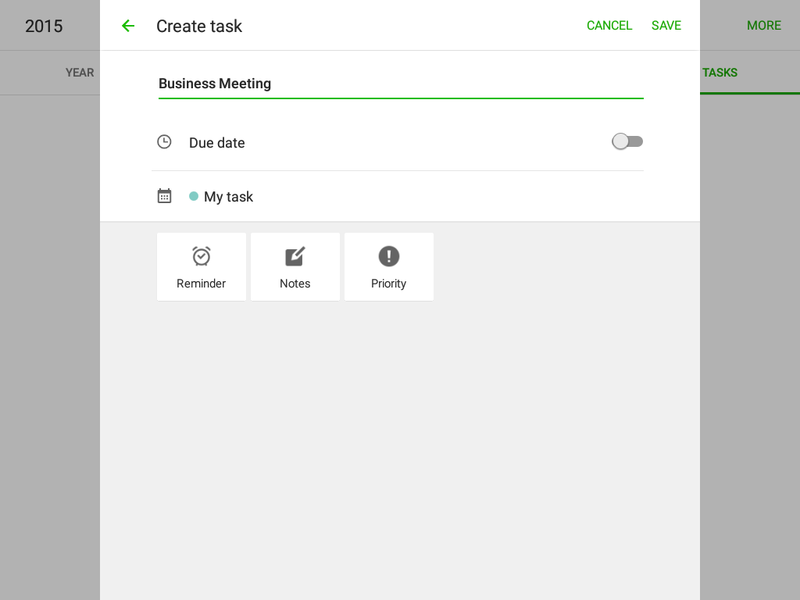 • Due date: Tap the ON/OFF switch to select a date on the calendar for the task. • Reminder: Tap to set a reminder alert. • Notes: Tap to save a note with your task. • Priority: Tap to assign a priority to the task. 5. Tap SAVE to save the task. 2. 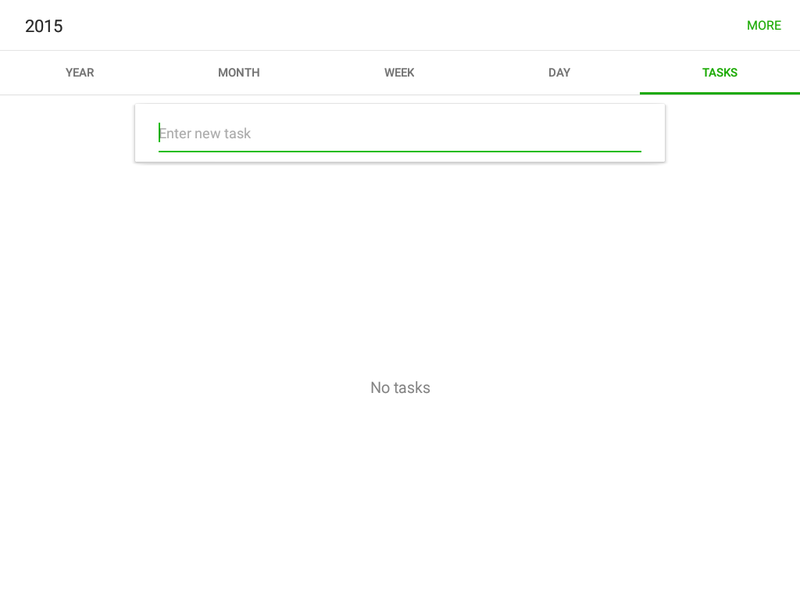 Tap TASKS to view your tasks. 3. 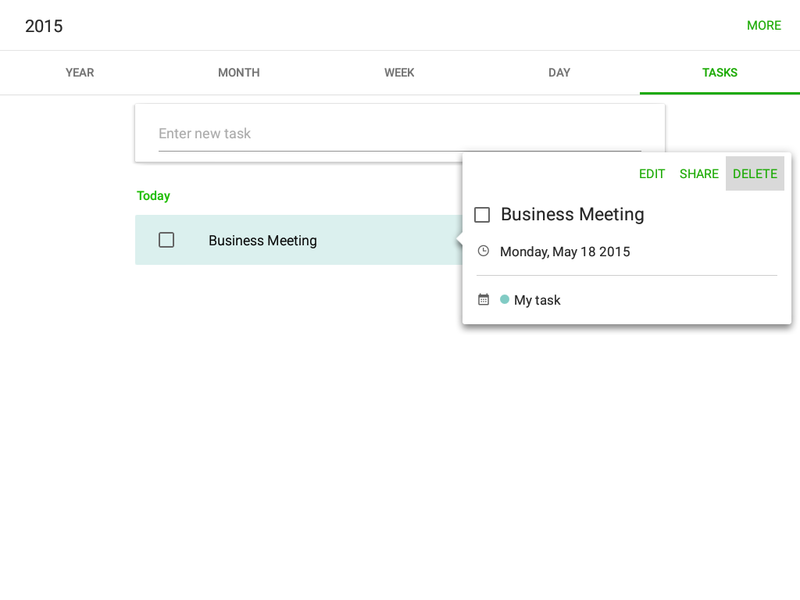 Tap the checkbox by the task to mark it as complete and remove it from the calendar. 4. To delete the task permanently, tap the task to open it, and then tap DELETE. 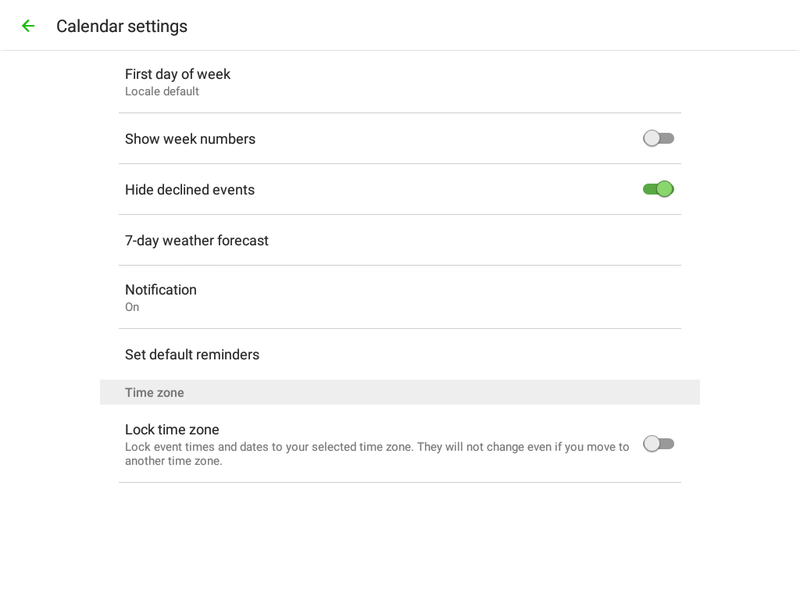 These settings allow you to modify settings associated with using the Calendar. 2. Tap MORE > Settings. 3. Tap an option and follow the prompts. How Do I get the PayPal app on my Samsung Galaxy device?